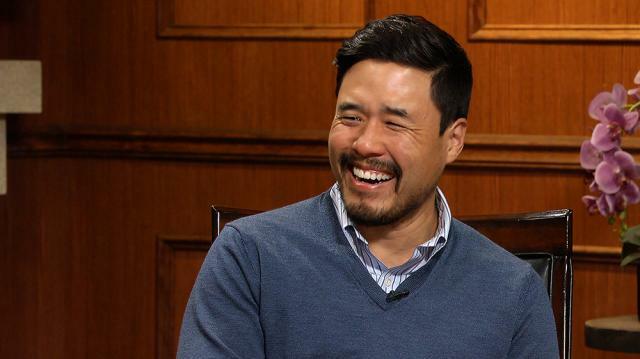 ‘Fresh off the Boat’ star Randall Park details landing the part as Kim Jong-un in ‘The Interview,’ and how he prepared to play the elusive North Korean leader. Larry King: As somebody told me, nobody evil thinks they’re evil. Larry King: Like they think they’re fine. Randall Park: They think they’re fine, they think they’re the best, yeah. And I get to play with that thought a lot, and that’s a lot of fun. Larry King: Was that one of the stranger roles? Larry King: How did you get that? Randall: I literally just auditioned for it, I mean I knew the directors, Seth Rogen and Evan Goldberg, I’d worked with them before, and they brought me in. I found out about this part, I was like, “No way, this is ridiculous.” I read the script and I was like, “This is really smart and fun, and I think I could bring something to this.” And I came in and auditioned, and right away I just got it. Larry King: Now Trump said he might want to meet him. Larry King: And I don’t believe him. The worst guy in the world, he wants to meet him. Larry King: Now you said you could identify with parts of him. Elaborate. Randall Park: For sure. Well he’s in a lot of respects a kid, especially for that position in the world, to be thrust into that position at such a young age, and to feel the weight. I guess anybody in the public eye feels the weight of people and their communities, and it’s something that kind of right away, unprepared, he just got thrust into this position of power. Larry King: It is daunting. Randall Park: It’s daunting, and also learning about his relationship with his father when he was growing up, and wanting to please his dad so badly. Larry King: Did you have that with your dad? Larry King: Where are they from? Randall Park: From Korea. They came here in the late ’60s. Randall Park: I grew up in LA. In Los Angeles. Randall Park: No actually in West LA. In West LA. Larry King: What did your dad do? Randall Park: My dad, for my early childhood, he worked for a toy company. He worked in the corporate offices of a toy company, and that toy company ended up moving, and like a lot of Koreans at that time and now, he decided to open up his own small business. And he opened up a one-hour photo business, and he kind of held onto that until the dawn of the digital age, and then that kind of fell apart. Larry King: Do you know if Kim Jong-un ever saw the movie?